AMD has confirmed some interesting bits regarding their current and upcoming products in an interview with OverclockersUK. These products are based on AMD’s CPU and GPU technologies that have received major updates in 2017 and will continue to get better as the company moves forward. The interview was hosted by OverclockersUK and AMD’s Senior Product Manager, James Prior, was invited over to answer some public questions during the live stream. During the interview, James is talking a quite bit about Ryzen and Threadripper since he is the product manager of Threadripper and works in the Client Computing Group for Desktop CPUs (Enthusiast Team). Several questions are asked during the interview but some interesting details about current and upcoming products were revealed during the talk which are mentioned below. 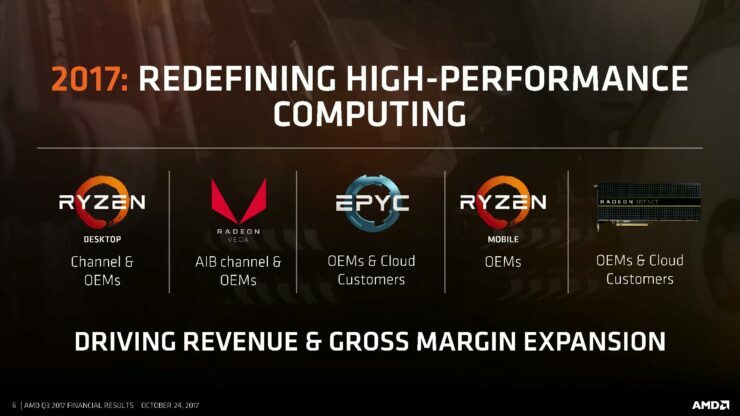 While this isn’t a huge reveal since AMD already mentioned in their slides that AM4 is built to last a generation of Zen based processors, it is still good to see that AMD’s top managers are reassuring the claim. 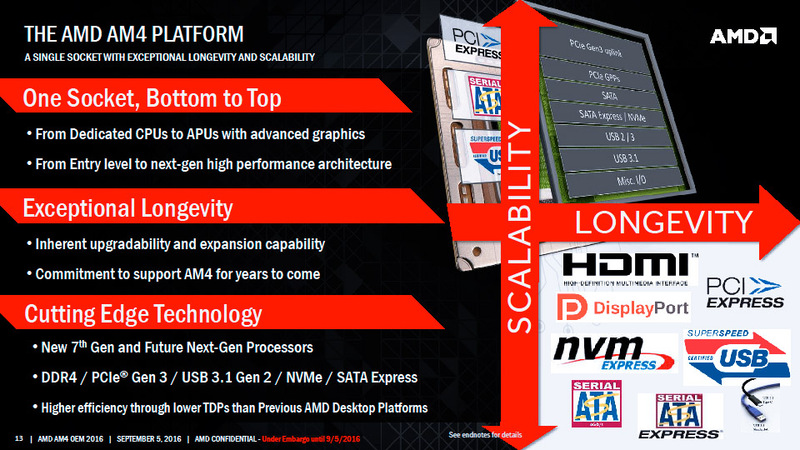 AMD is known to build platforms around a socket that lasts longer compared to Intel. On the Intel side, we have seen two chipset / platform changes within a year (Kaby Lake / Coffee Lake). AMD on the other hand will offer support for all upcoming generations of the Zen architecture cpu on their AM4 platform. It was also confirmed that work on Zen 2 began when the foundation of Zen 1 was already laid out, giving engineers enough time to tweak the next best thing after Ryzen. Talking about Zen itself, the upcoming generation of processors codenamed Pinnacle Ridge are said to utilize a refresh of ZEN rather than a complete update that Zen 2 is supposed to be. Hence, the family after Ryzen (1st gen 1***) will use the Zen+ architecture and not Zen 2. 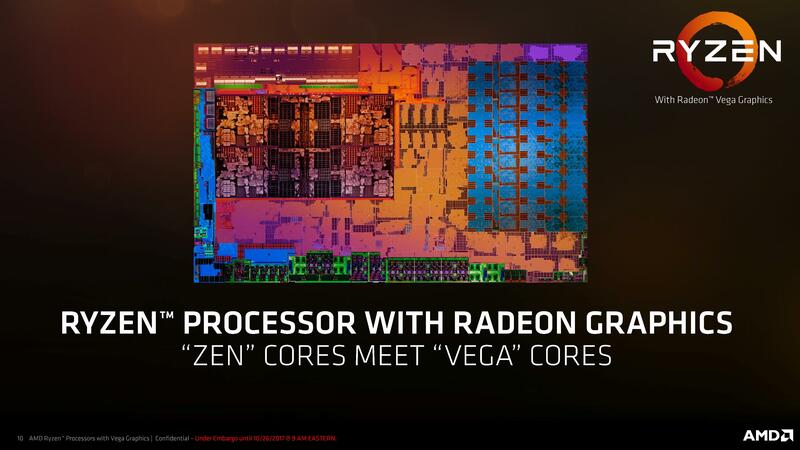 There’s no official confirmation what process or technology updates Zen+ might use but AMD has confirmed to ship 12nm process based CPUs in a previous set of slides. Rest assured, you will be totally able to plug in the next Zen+ / Zen 2 product in your existing AM4 motherboard. Alright so we have been anticipating to see the Vega 11 GPU since the announcement of the Vega lineup but James Prior has just confirmed what’s all the deal about this particular SKU. Apparently, Vega 11 isn’t the name of a specific GPU that will have various SKUs but it’s a simple codename for the integrated graphics embedded on the Raven Ridge APU die. AMD’s Raven Ridge APUs have the Vega 11 GPU and the “11” stands for the 11 compute units in the chip. 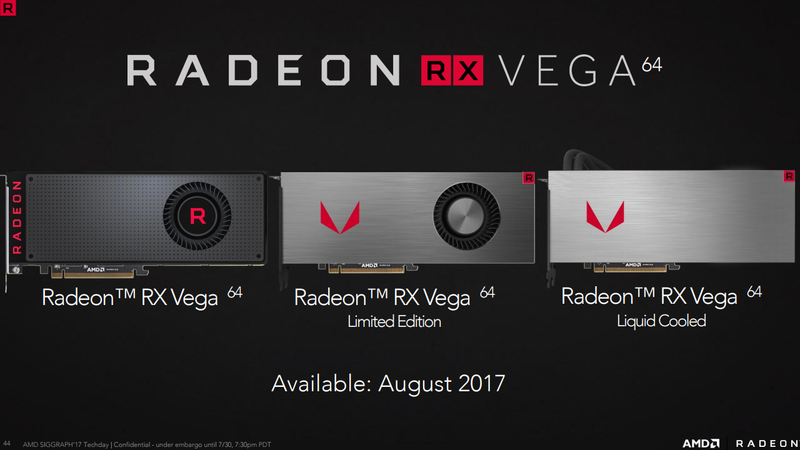 Similarly, there are other SKUs of the Vega chip featuring 8, 10, 5, etc CUs that are labeled as Vega 8, Vega 10, Vega 5. I guess it was misinterpreted as the smallest of the two Vega chips as we thought of Polaris (10/11) but that was never the case. That would imply that we may never see a Vega GPU aside from the high-end Vega 64 and Vega 56 offerings but if Vega can scale from 2 CUs to all the way up to 64 CUs on RX Vega 64, then there’s no doubt that AMD cannot offer a discrete board with lower CU count in the budget segment. AMD is offering a 24 CU Vega part inside the Intel Kaby Lake-G series multi-die processor and there’s rumored to be another one with even more CUs enabled. It will be interesting to see more Vega offerings in the future, especially when Vega gets enhanced 7nm process update in the coming year as leaked slides indicated. James has also assured that they are going to bring an increased supply of Radeon RX Vega 64 and Radeon RX Vega 56 GPUs in the market. This will have two direct impacts on reference and custom boards. First up, the increased supply will mean that we won’t be looking at further stock issues that are a major contributor to the price gouging that affects graphics cards in low supply. Second, the increased supply will put the prices back in check and that will lead to manufacturers bringing out more custom boards to market that will offer better cooling and graphics performance. I think custom boards will start popping out sooner in good quantities and manufacturers that have delayed the launch due to supply issues will now release their cards to market. There is no time period mentioned by AMD but I believe we will be seeing it sooner since the mining craze has diminished a lot during the current quarter and more GPU supply can end up in desktops rather than crypto mining rigs.